The month of December meant playoffs for the Colombian Soccer League. Here in Medellin we have two teams; Deportivo Independiente Medellin (DIM or Medellin) and Atletico Nacional (Nacional). Whenever the two teams play each other, the city is divided up between their fans and the color of red and green for the Clásico Paisa. The Metro B line is always shut down during these game to avoid any cause of fights between the rival fans. The semi final round of the Colombian Fútbol League was DIM vs Nacional, a real Super Clásico Paisa. And on the other side of the table was Junior FC (Barranquilla) vs Deportivo Tolima (Tolima). Now I love fútbol, I played growing up and I played in high school. Living here my love of fútbol grew even more, especially when watching the national Colombian team play. However, the Colombian league is not all that exciting… mainly, because the level of playing is not up to Europe’s. After following the EPL, La Liga, Bundesliga and the other European leagues it gets kind of hard to get excited or watch Colombian league soccer. Yet, this was an exception, because the two rival teams of the city were facing off each other. 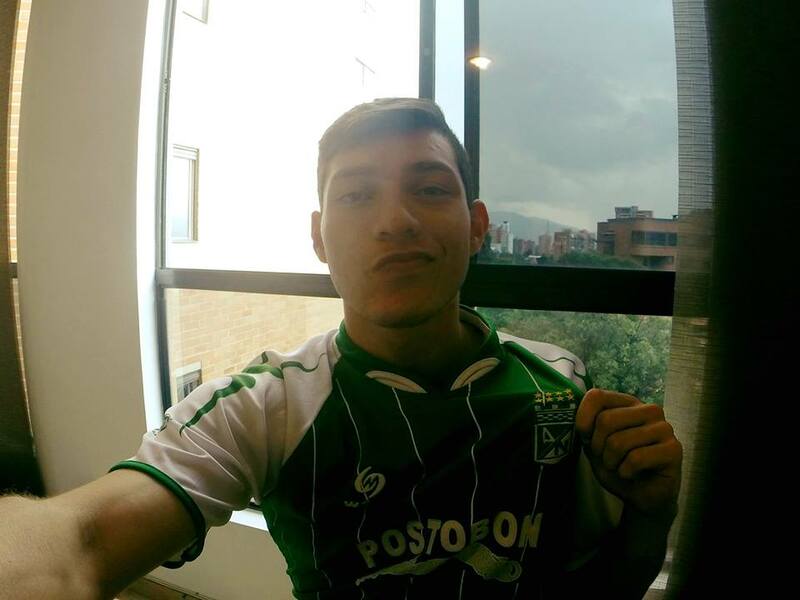 As hard it is watching the Colombian league, it is also hard to be a fan of one of the teams, but here in Medellin I root for Atletico Nacional! During playoffs, each round is played in 2 games. The first game was DIM at home, and no fan from Nacional was allowed in the stadium. The first game of the semi final, I saw it with my friends at the big screen in Parque Lleras. Normally this is the spot to watch in Lleras, however not many people were there. The first leg ended 1-0 in favor of DIM. I was somewhat disappointed, but my girlfriend was over joyed with happiness, because she supports DIM. That night she rubbed it in my face all night long and would not let me hear the end of it. The second game was crucial for Nacional if they wanted to advance to the final. They were down 1-0 on aggregate goals from the previous game and needed to score 2 or more goals to advance. The game was on a Sunday around 5 P.M. For game-day my older brother and friends Juan and Cata and myself went to a restaurant to watch the game. That day was also our Secret Santa gift exchange within our group of friends. 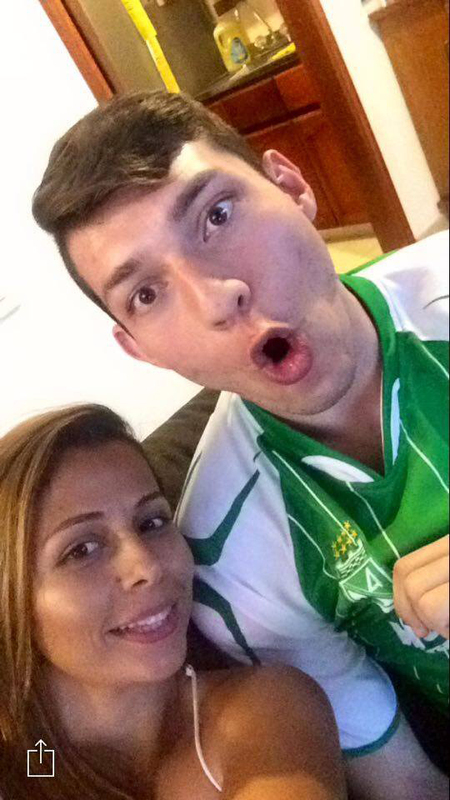 Anyways, Nacional ended up winning the game 2-0! They made it to the final! 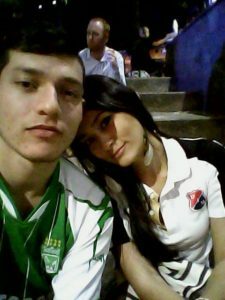 I was happy and so were my friends, especially Cata because she is a big supporter of Nacional. 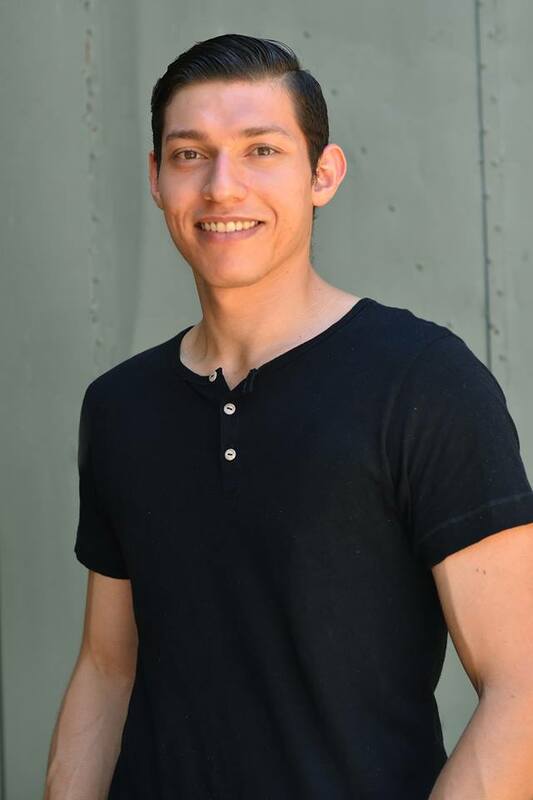 Later that day, I met with my girlfriend and I could have rubbed it in her face but I know better to not do that. 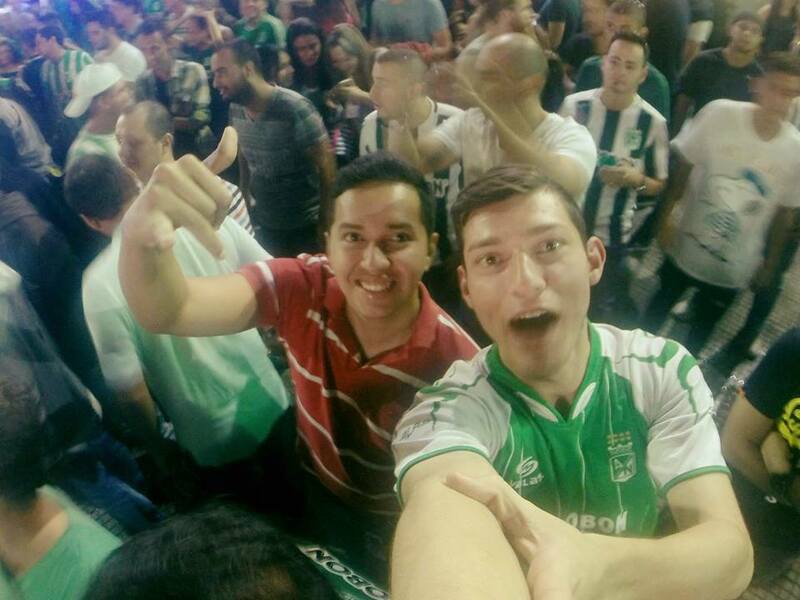 The final round was set, Atletico Nacional vs Junior F.C. This was going to be tough match for both teams. The final was also played in 2 games. The first game was played in Barranquilla. For this game we went over to our friend Giovanni’s house (who is from Barranquilla) to watch the game on his big projector screen. That day was a great day, because we had friends over to watch the game and later that night we went to catch the premiere of Star Wars Episode 7! Back to the game, Junior scored 2 goals in 10 minutes of the first 20 minutes of the opening half. I was stunned, Cata was upset, my brother was angry, and Gio was happy as can be. The game ended 2-1 with a goal from Charra for Nacional. Nacional played sloppy that night and could have lost by a lot more. The 2nd game of the leg and final game of the season was played in Medellin. That night the city was covered in green and people everywhere were getting ready for the big game. Nacional needed to score 2 goals to win and take the cup. 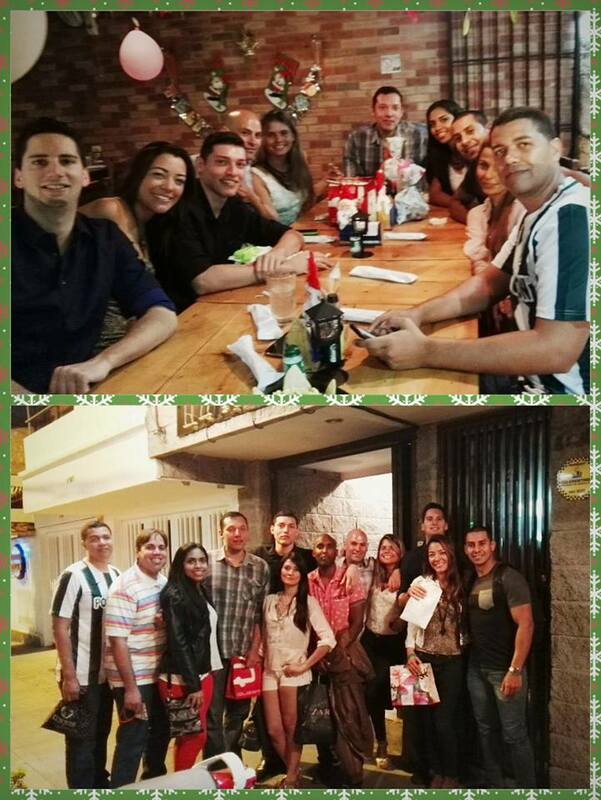 That night we all met up at the park and watched the game on the big screen in Lleras. This time there were tons of people everywhere. I showed up just as kick off started and within 30 seconds Nacional had scored! It was amazing! Everyone went wild and began spraying foam and handing out Guaro shots. The whole game Atletico Nacional was attacking, but regular time had ended leaving the score 1-0. This meant the two teams were tied in goals 2-2, thus going to penalties!!! Penalties was tough to watch but Atletico Nacional goalkeeper Franco Armani was a god that night. He blocked the first penalty and the final penalty that crowned them champions. When Armani blocked the last penalty all of Lleras (and Medellin) erupted with cheer. Foam and flour were thrown everywhere, strangers hugging each other and drinking aguardiente. 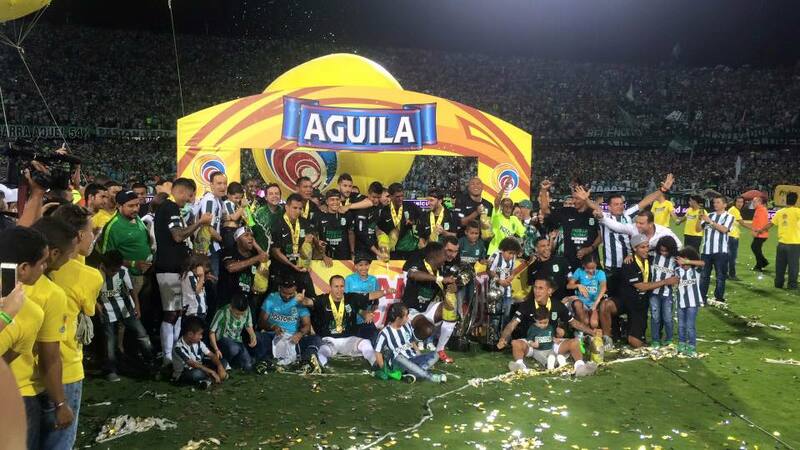 Atletico Nacional were crowned the 2015 Colombian champions for the 15th time making them the club with the most champions! oh oh oh mi Nacional, ole ole ole mi Nacional, ole ole mi Nacionaaaal…. como yo quiero a mi Nacional! My friend Jonathan and I watching the final in Parque Lleras. Secret Santa Dinner and Gift Exchange with the crew.